San Francisco Bay Area Transit. 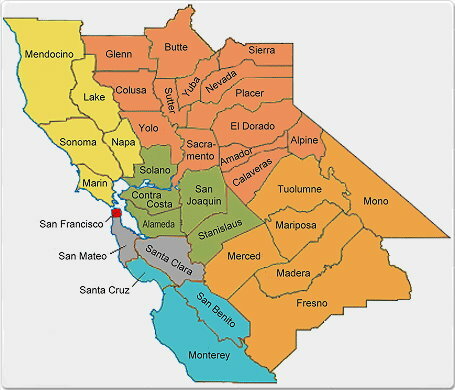 On this website you will find comprehensive information on regional, commuter and transit options in three metropolitan areas in Northern California: San Francisco Bay Area, Greater Sacramento and Gold Country, Greater Fresno and Yosemite and adjacent counties. We cover all forms of public and share ride transportation including bus, train, and ferry. We also list advocacy groups and transit related websites like trip planners, carpool boards, and community resources. Visit Regional Transit link for intercity service: bus, rail, ferry or chose county from the list below to start your local transit search below. Click here for private transportation in Northern California.